Lagom! CAFÉ is the new restaurant at the Tennis Club of Puente Romano. Lagom! CAFÉ is the new restaurant at the Tennis Club of Puente Romano. 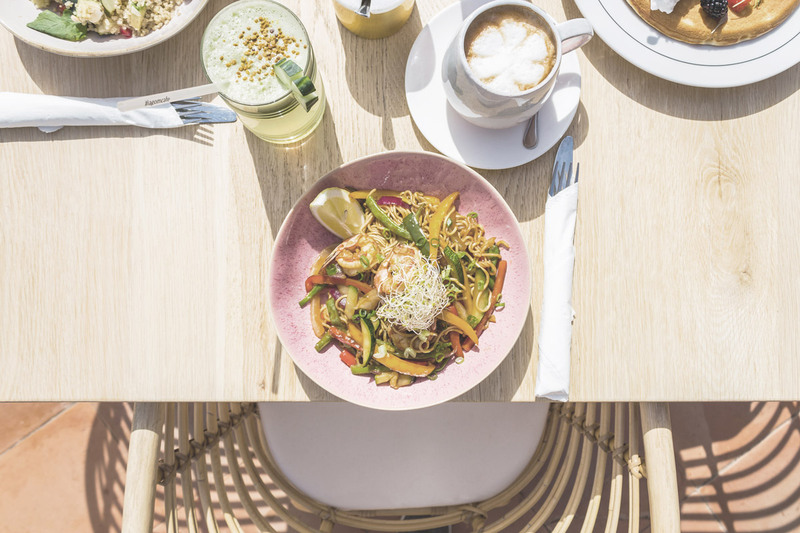 It’s born from rachel’s eco love, a referent in healthy and ecologic food in Marbella and it takes after its healthy dishes where the Mediterranean diet is perfectly fused with first-rate ingredients and super foods. Influenced by the best gastronomy of different countries, it creates a varied menu able to adapt to all tastes and even the most exquisite palates. Its non-stop kitchen is open from 8.00 to 22.00 pm offering breakfast, brunch, lunch, tea and dinner in a cosy ambience and a sunny terrace with views to the tennis court. It’s the best place to enjoy good food and lagom’s philosophy, which claims to be the secret to happiness.